Beneath the streets of London, produce is growing. Radishes, red lion mustard and pea shoots, among other edibles, are being raised in a long-abandoned bomb shelter built for World War II. The brainchild of Richard Ballarf and Steven Dring, Zero Carbon Food hopes to grow underground food that's sustainable -- and also tasty. 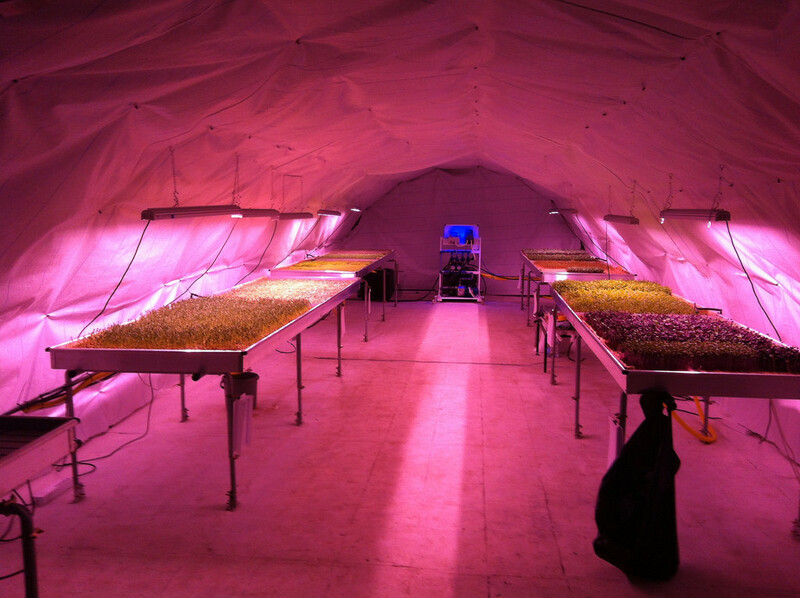 "Zero Carbon Food utilizes redundant underground spaces in London, producing leafy greens, herbs and micro greens using LED lights and hydroponics, producing fresh ingredients with a minimal carbon footprint," the company notes on crowdfunding site Crowdcube. Skeptical? Join the club, Dring told The Guardian. But eventually, he added, "they say, 'OK, let's make this work.'" Years in the making, the 2.5-acre farm will start up full time in March. Its first products should hit restaurants and markets by the summer of this year, according to a Zero Carbon press release. The first subterranean produce will include broccoli, garlic chives, red vein sorrel, mustard, coriander and Thai basil, according to the release. Larger produce such as mushrooms and tomatoes are planned for later. Three-layer growing platforms, a water-cycling system and LED bulbs helps to keep the underground environment temperate and moisture levels optimized for plant growth. Zero Carbon Food hopes to start delivering produce grown in its underground farm by late summer. "As much as hydroponics sounds technical, it's actually very low-tech," Dring told The Guardian. "It's flooding a bench full of seeds, like growing watercress as a child. The water then ebbs back to the tanks before flooding again hours later, and so on. It's not at all energy demanding. … The constant temperature down here is a reason not to do it under glass, on the surface." And Zero Carbon Food has ambitious expansion goals. The company is looking to raise close to $500,000 through crowdfunding. So far it has raised around $64,400. In an effort to give these underground greens some foodie cred, the project has partnered with internationally acclaimed Michel Roux Jr., a two-star Michelin chef at London restaurant Le Gavroche. The veggies also got high marks from Independent food critic Samuel Muston, who remarked that the pea shoots, micro radish and mustard red leaf appeared "plum and meaty" with a flavor that tasted "vivid and vital." "Buy the same in a supermarket, even a posh one, and you are likely to encounter a taste pitched somewhere between dust and brown paper envelopes," he wrote. "Here, surprisingly, they taste of the fields."